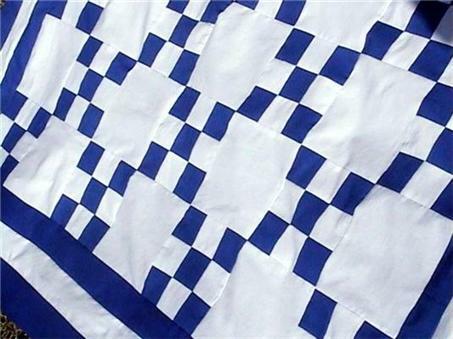 This is another lovely, wellmade and beautiful new blue and white Single Irish Chain quilt top that I made. 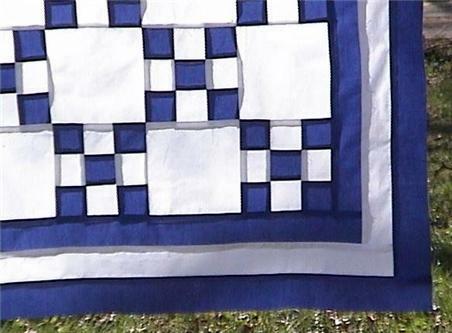 You can do bluework,redwork or other embroidery in the solid white squares. Make this a family heirloom. Use it throughout the year. Great for a wall, lap, crib quilt. This is the top only. You add batting, backing and your favorite quilting designs. The blue is called Electric blue. It's such a beautiful deep color. This quilt top has (3)three borders. Fabrics are pre-washed, pre-shrunk. Fabrics are good quality 100% cottons.